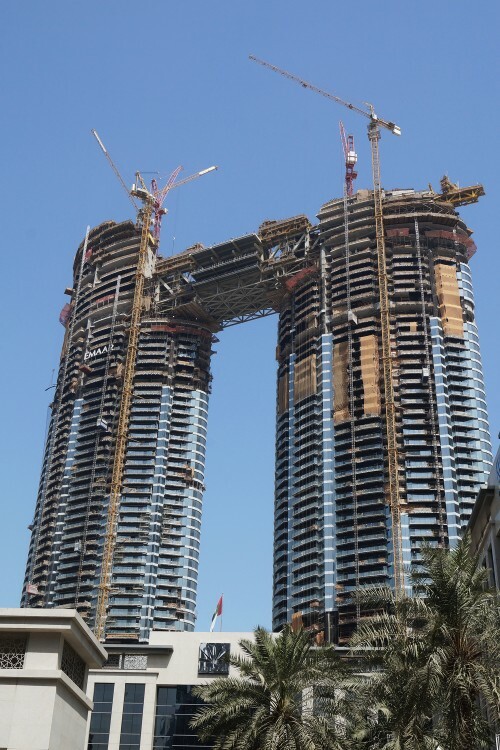 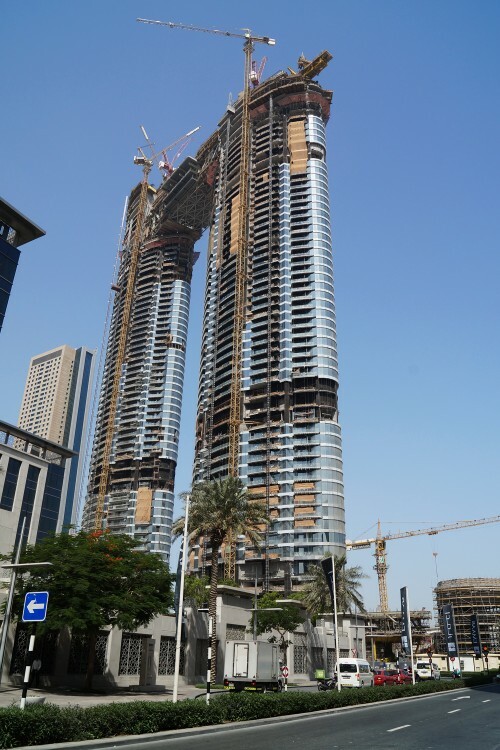 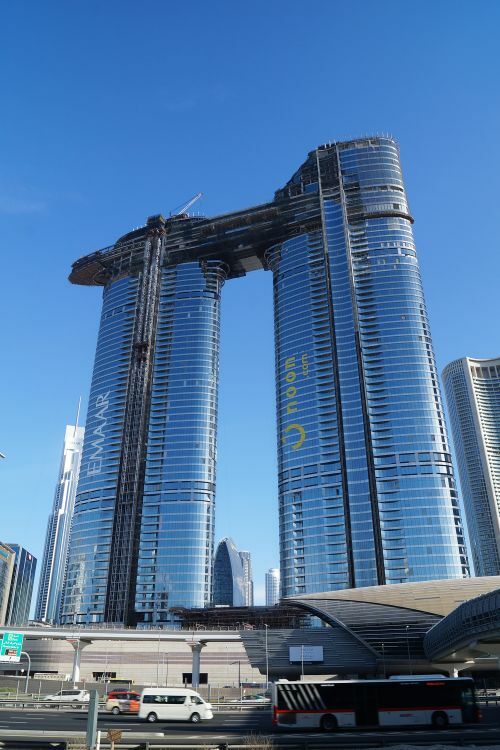 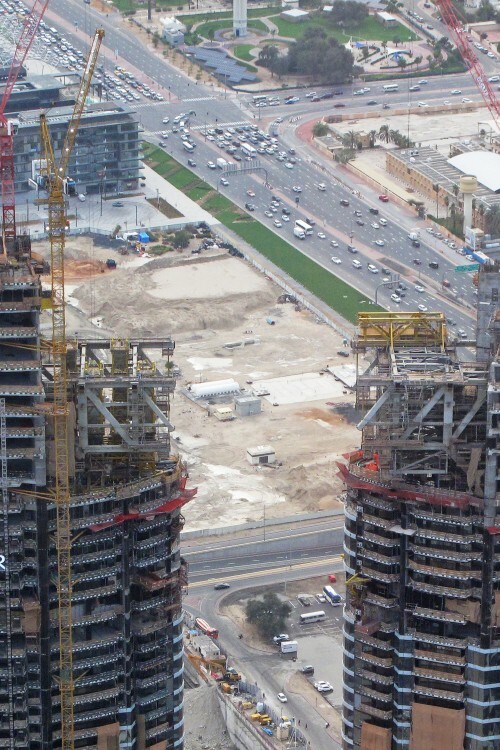 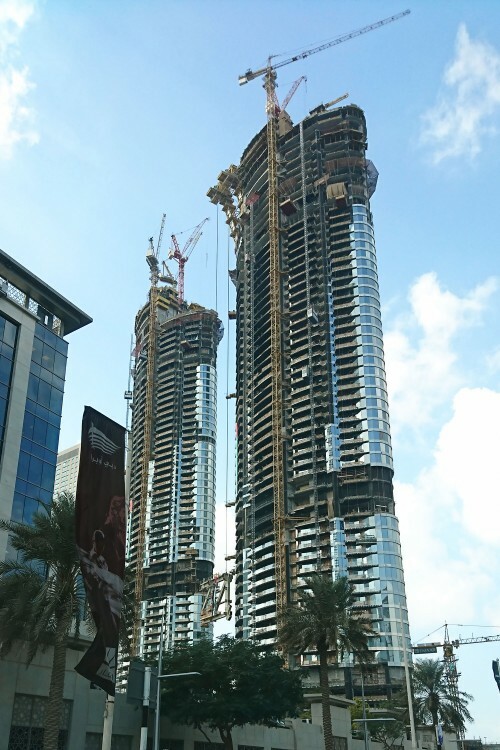 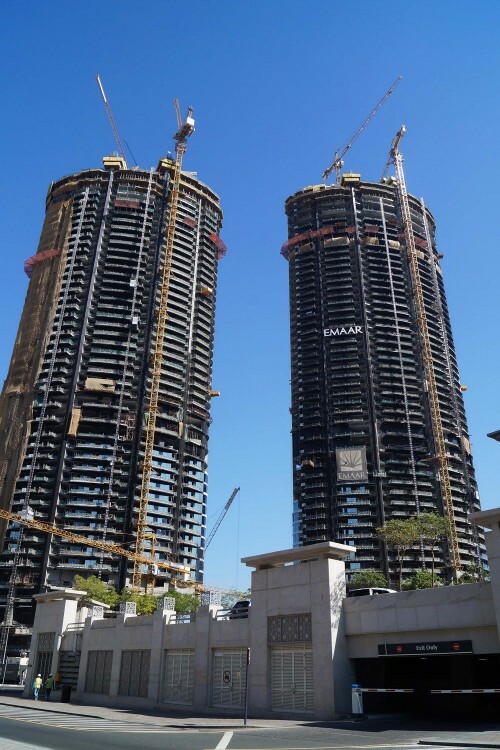 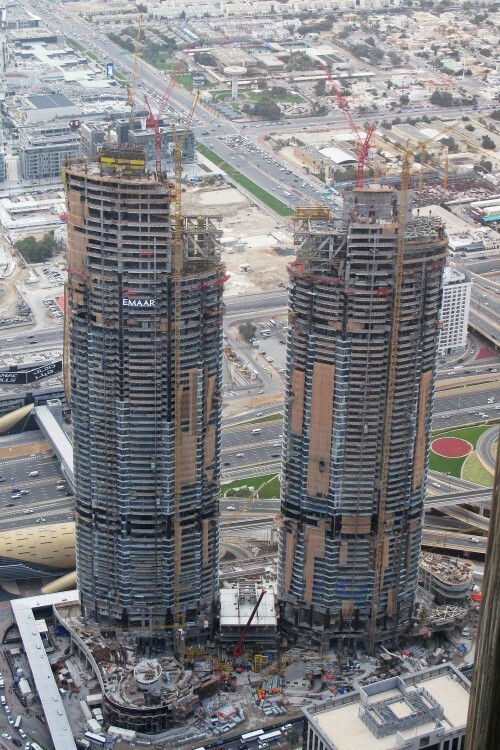 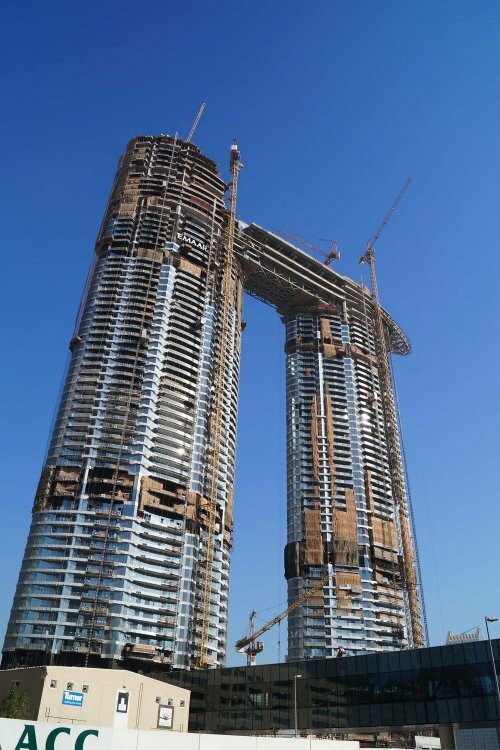 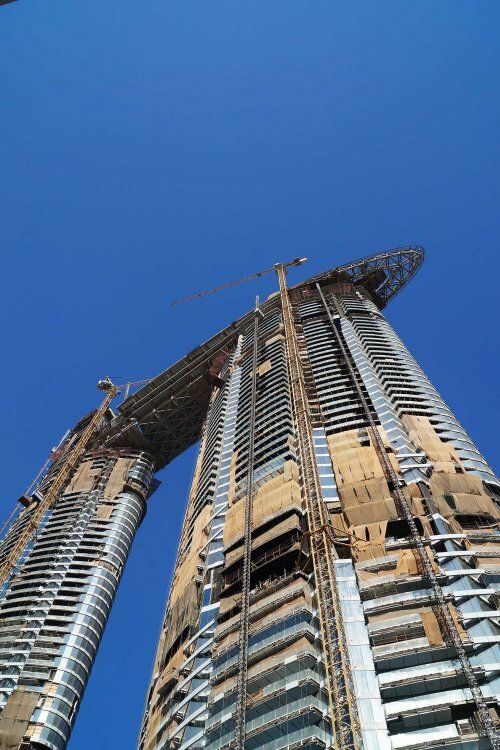 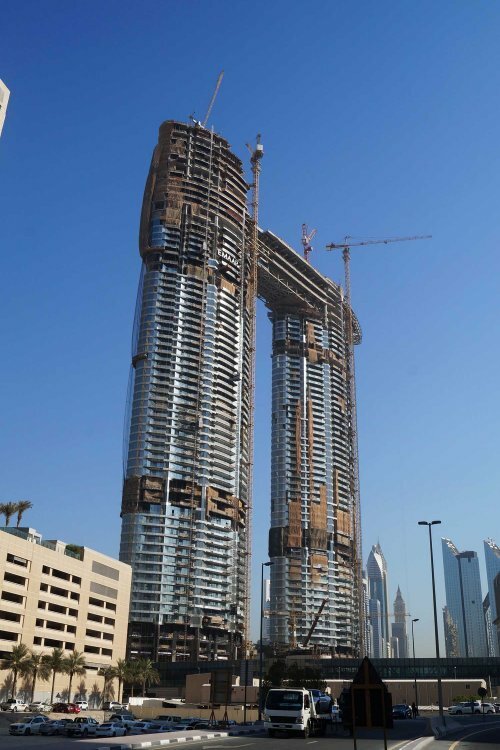 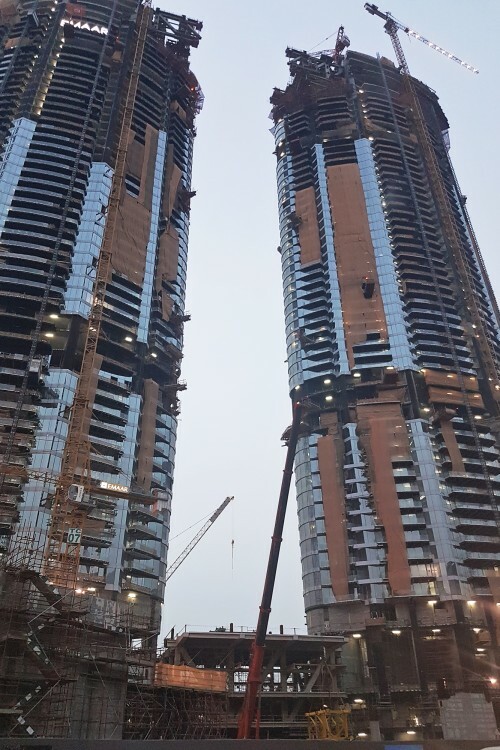 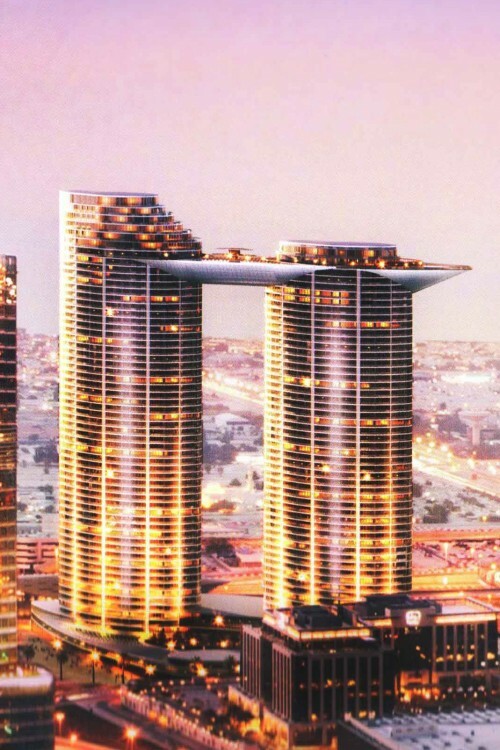 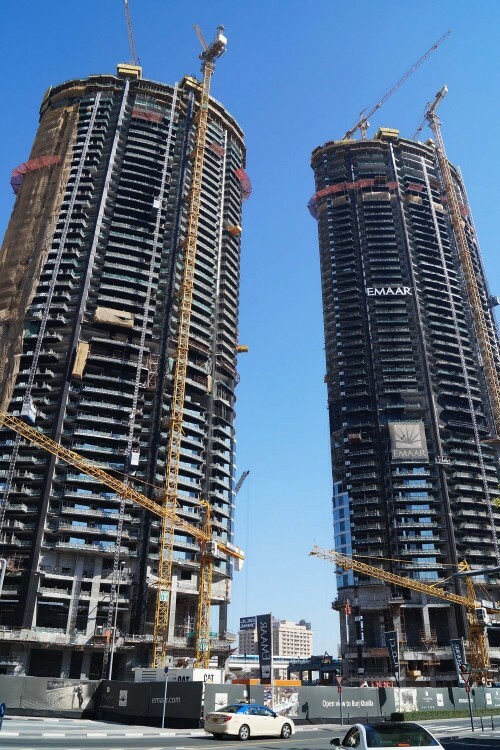 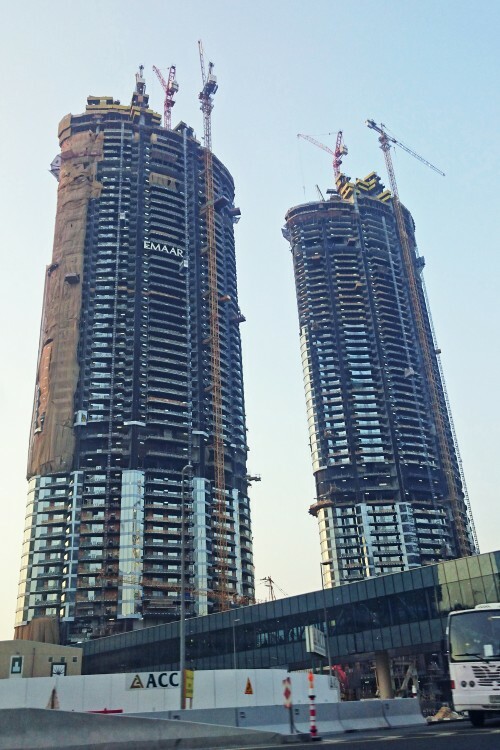 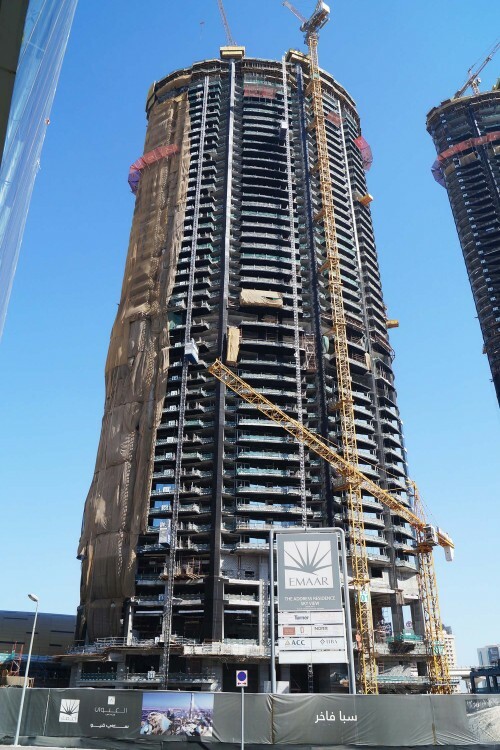 The Address Residences Sky View is a twin-tower complex comprising 532 serviced apartments and a 180-room luxury hotel. 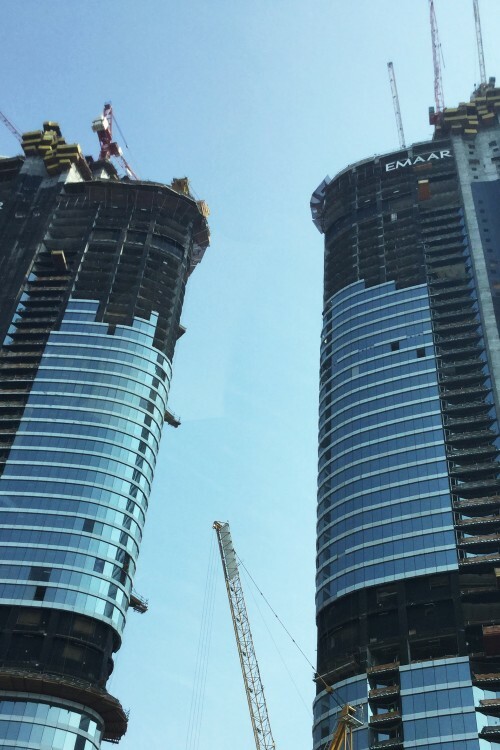 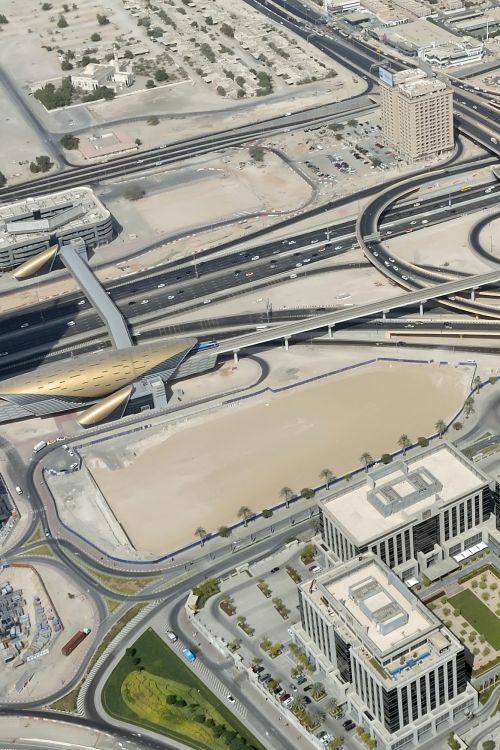 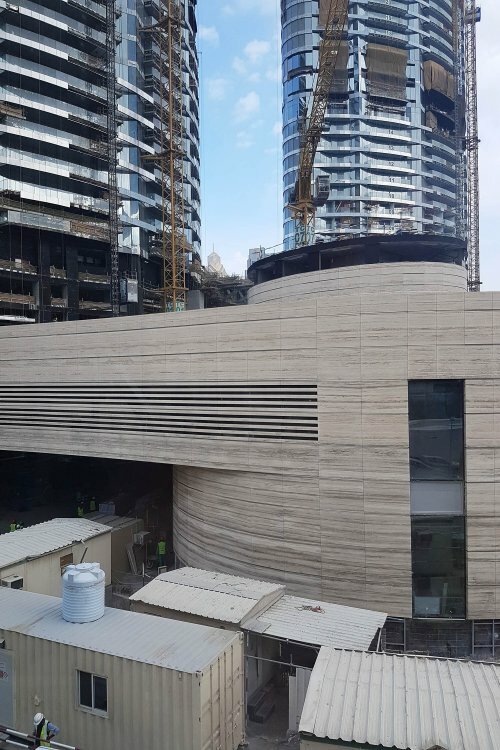 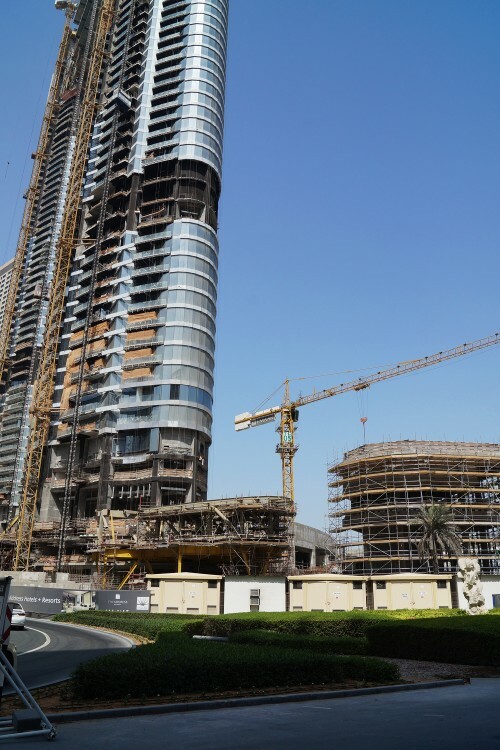 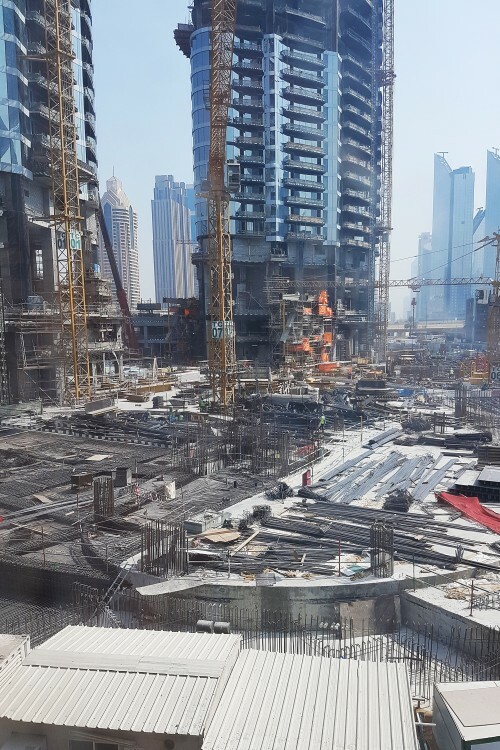 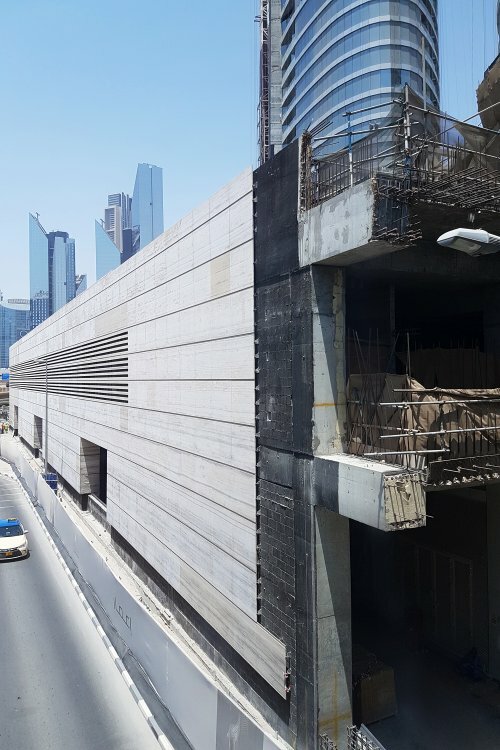 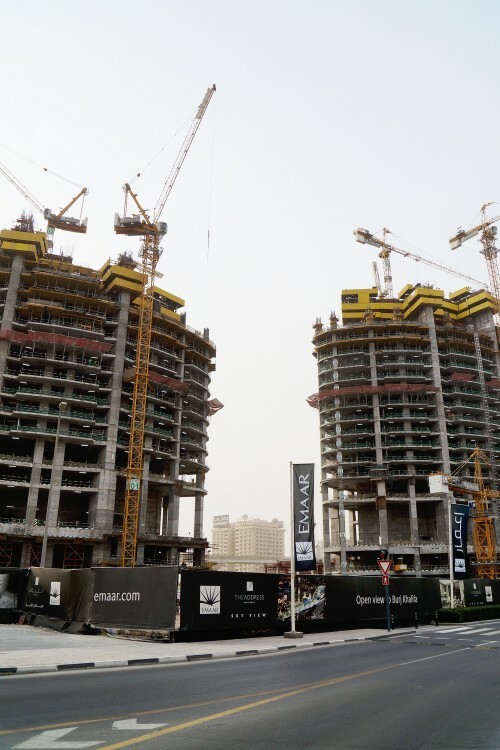 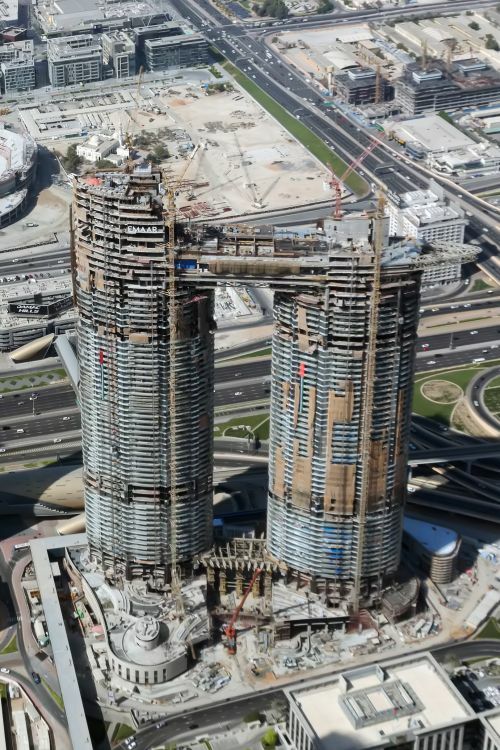 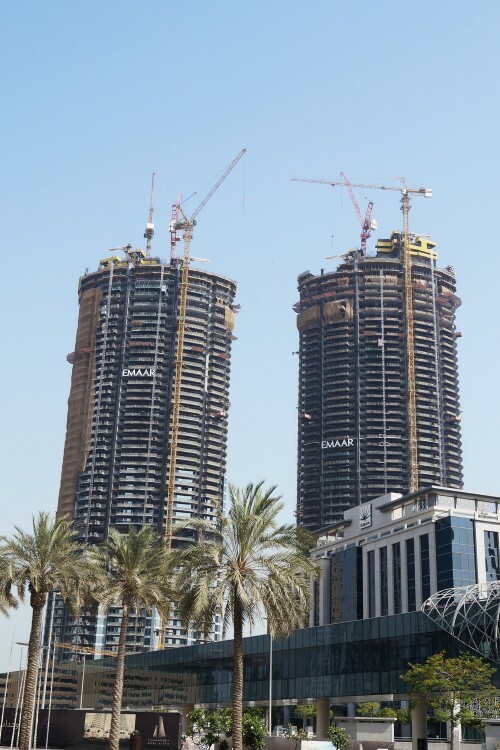 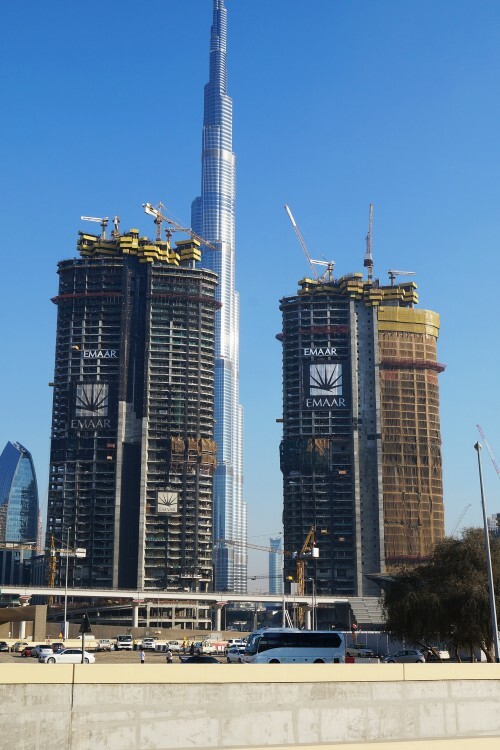 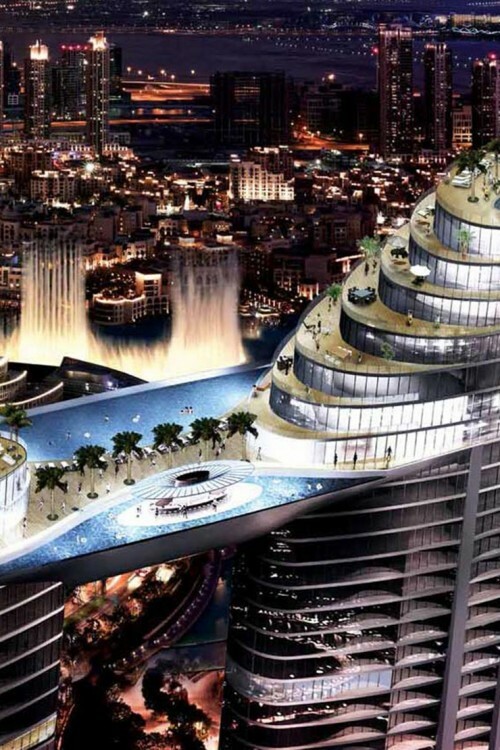 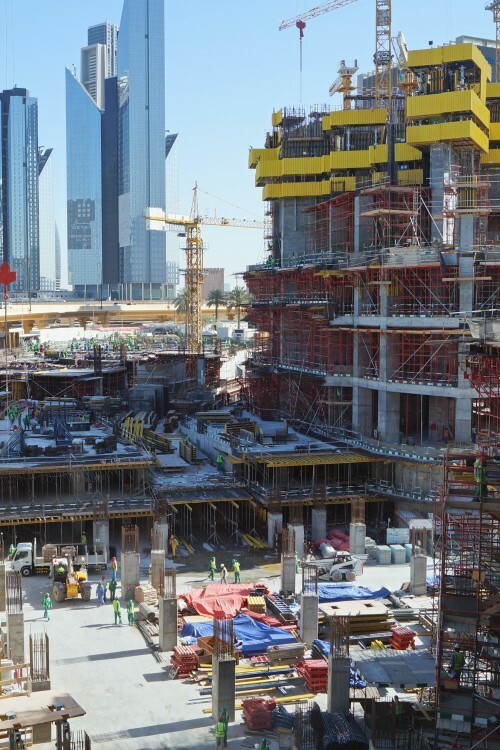 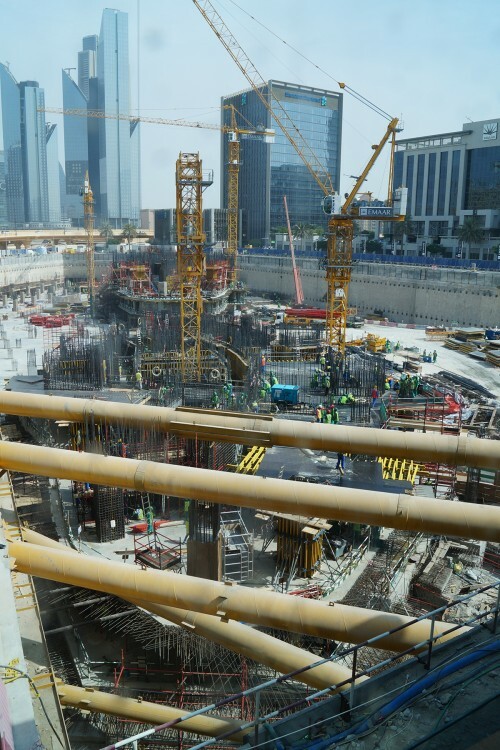 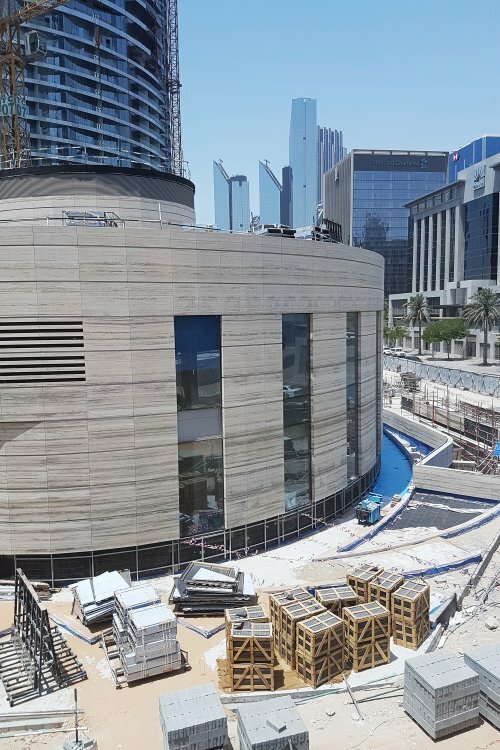 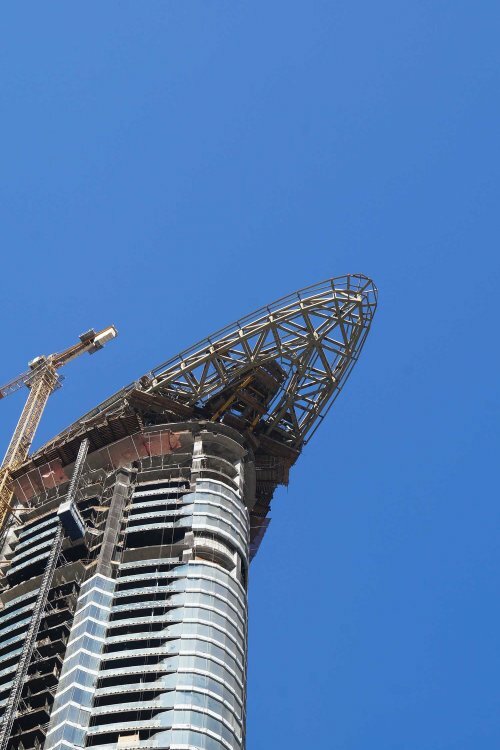 The building will be linked directly to the Dubai Metro and The Dubai Mall via an air-conditioned travelator. 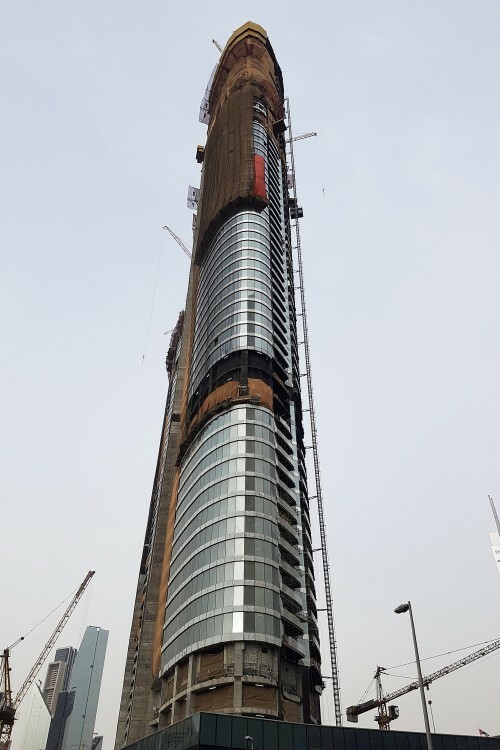 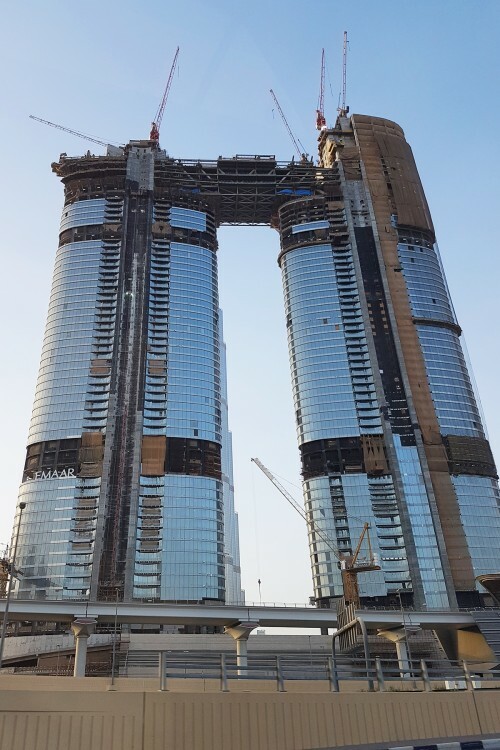 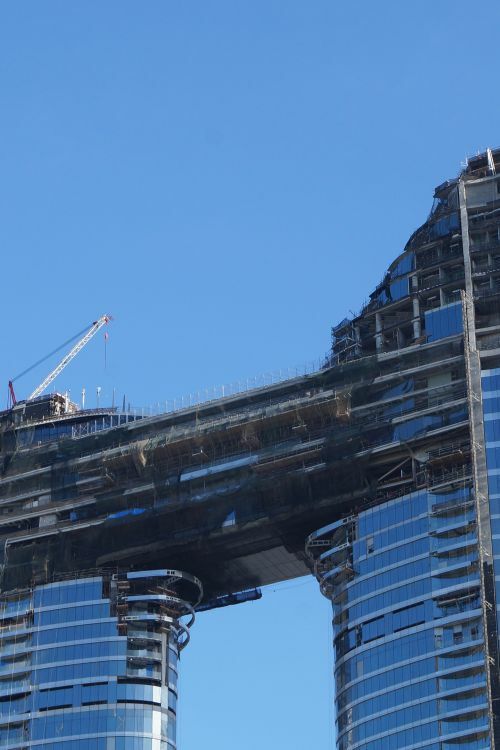 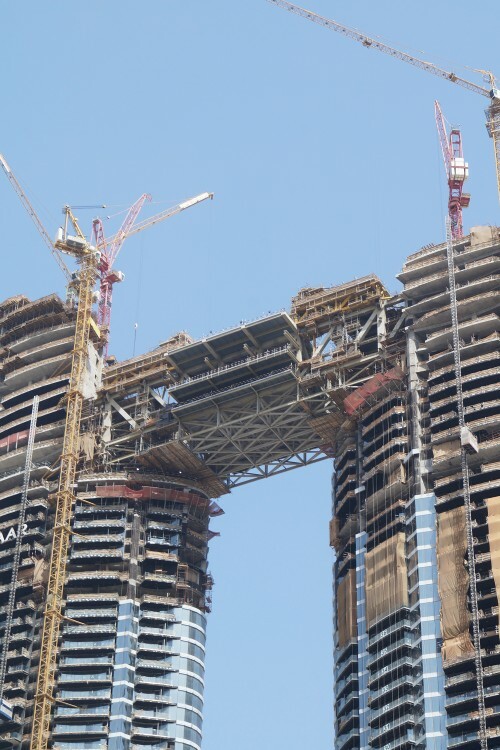 Spanning the tower complex at level 54 is a unique Sky Bridge, which includes a signature restaurant, ballroom, infinity pool with amenity deck, offering 360-degree vistas of Downtown Dubai and panoramic views of the Gulf. 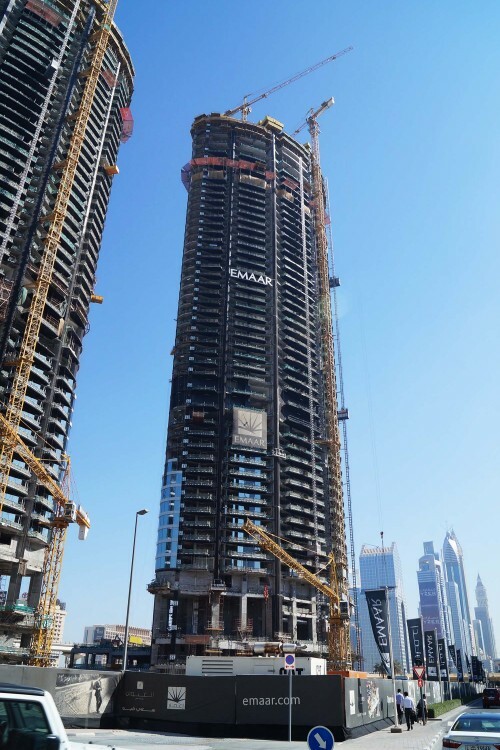 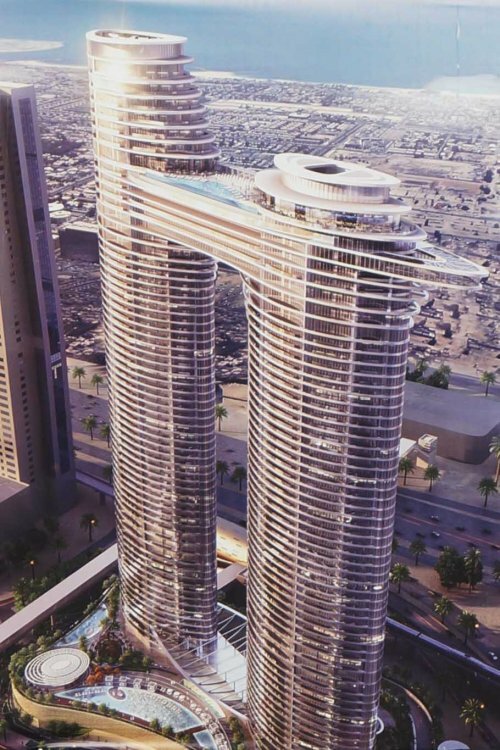 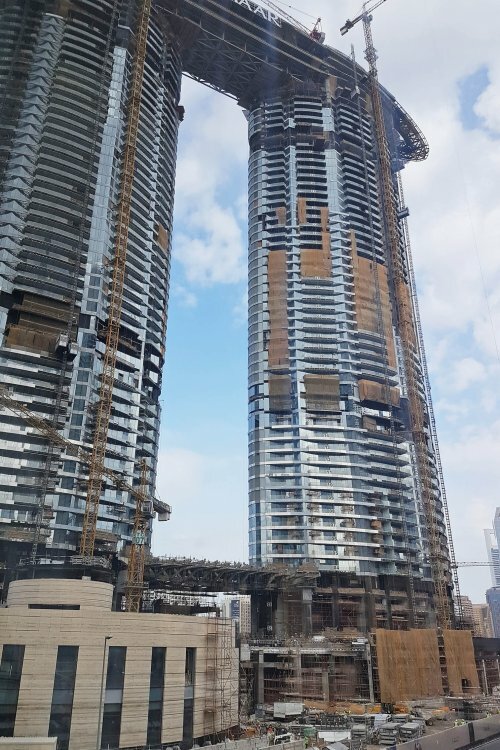 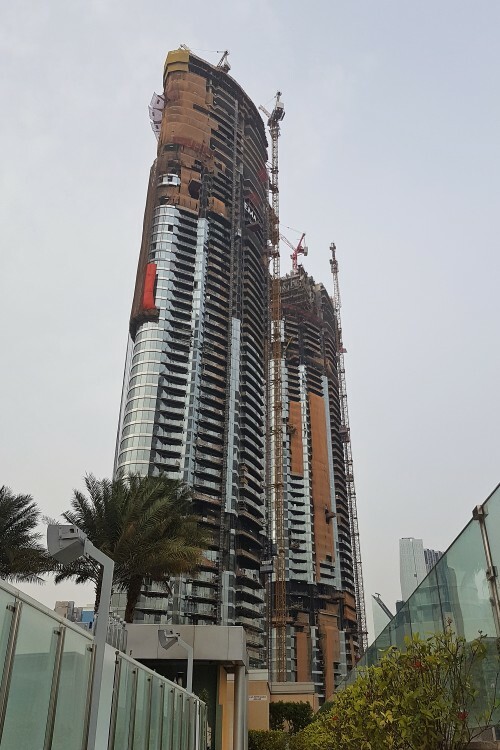 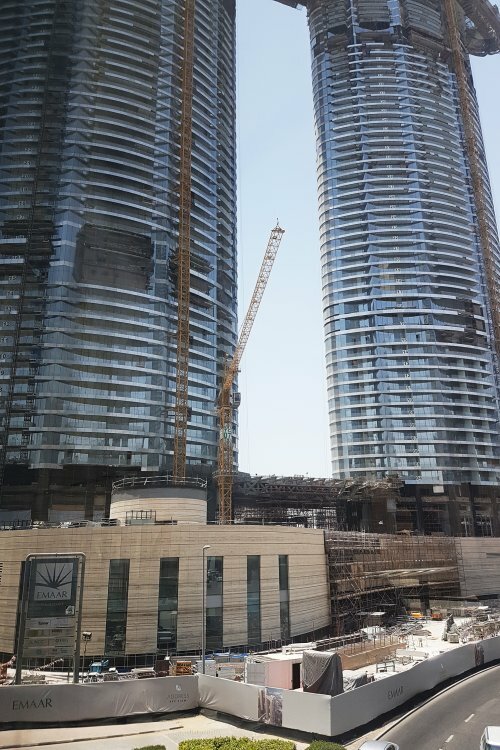 All serviced apartments will be fully furnished and designed to ensure optimal light across all living spaces with floor-to-ceiling windows giving views of Downtown Dubai or the Gulf. 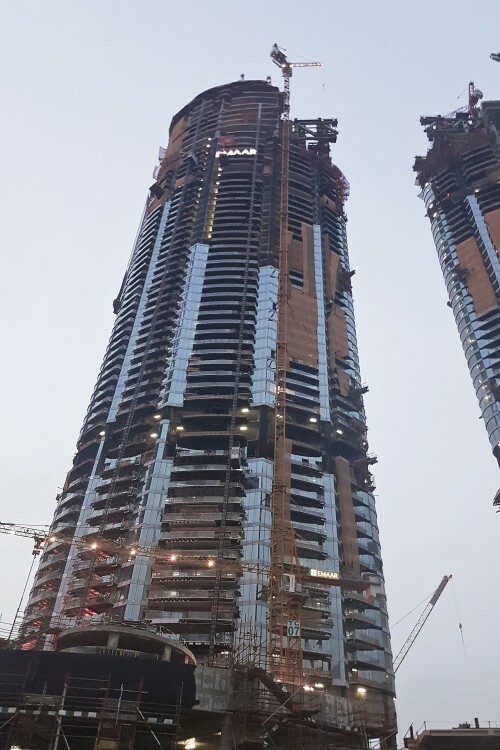 The project was launched in 2013 and due to be completed in 2017. 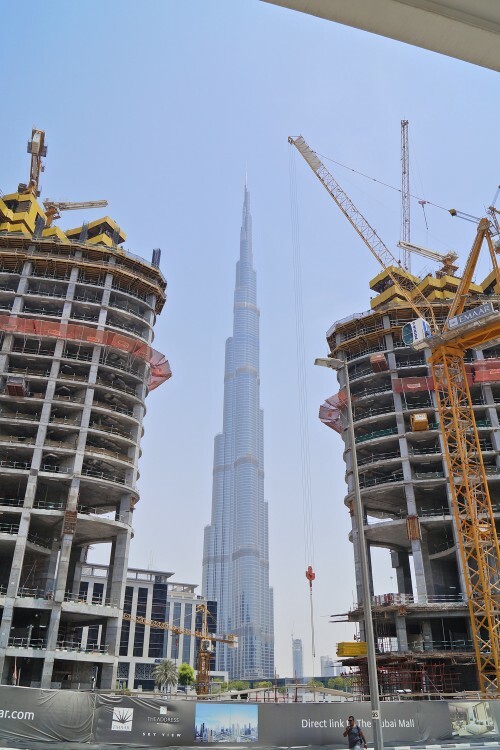 Designed by Skidmore, Owings & Merrill, the architects of Burj Khalifa, the towers have 50 floors and are over 230 metres high. 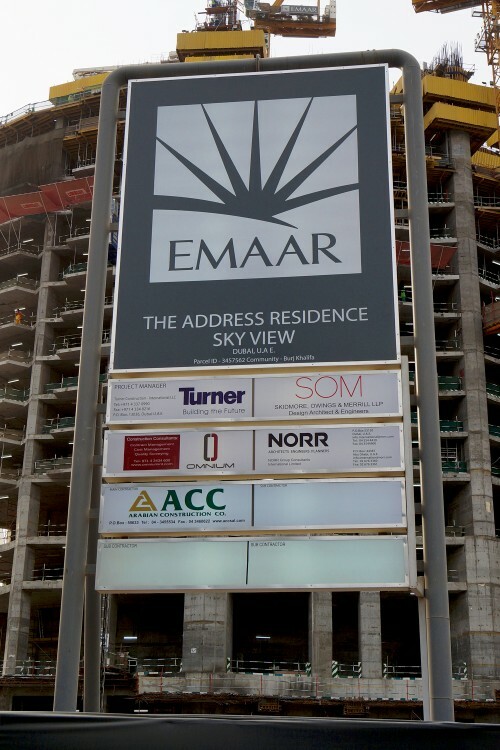 One-click links to properties currently on the market in The Address Residence Sky View.